A New Perspective: Does Addiction Stem from a Lack of Social Connection? According to Johann Hari, author of Chasing the Scream: The First and Last Days of the War on Drugs, everything we think we know about addiction is wrong. After conducting three years of field research for his book, Hari concluded that addiction may be more of a social illness than a medical or psychological illness. For Hari, "the opposite of addiction is not sobriety. The opposite of addiction is connection" [3, 12]. For the last 30 years, various models of addiction have competed for attention and influence over treatment programs and strategies. The disease model (sometimes called the medical model) is perhaps the most dominant paradigm, vigorously promoted by Alan Leshner, the former director of the National Institute of Drug Abuse (NIDA), who realized that by labeling addiction as a brain disease, he could convince Congress to increase funding for research . According to Leshner, addiction is a chronic, progressive disease caused by long-term changes in brain function and structure as a result of substance abuse and genetic predisposition . Under this model, addicts are typically treated in a medical setting and given pharmacological therapies or suitable alternatives for maintenance. This model takes the majority of responsibility and autonomy away from the addict, who may be told that his only hope of change is admitting loss of control, taking medication, and attending various therapy groups for support . The disease model implies that the brain is the most important means of analysis for the understanding and treatment of addiction, thus ignoring other important contributing factors . Before addiction became known as a chronic, relapsing disease, addiction was considered a moral issue. Addicts were seen as lacking morals, willpower, and self-discipline. Because drug abuse is seen as misconduct under this model, punishment was considered the best strategic response. In extreme versions of this approach, it was thought that people who couldn't exercise enough willpower needed to be incarcerated . The spiritual model of addiction is also highly influential in the United States mainly due to the widespread popularity of 12-step groups, such as Alcoholics Anonymous and Narcotics Anonymous. The spiritual model is distinct from the medical and moral models in that addiction is seen as a spiritual deficit. According to these programs, substance use marks an attempt to fill a spiritual emptiness. Naturally, the path to recovery is a spiritual one. A recovering addict must learn the virtues of humility and acceptance, recognize that he is powerless to help himself, and seek healing by surrendering to a higher power . Early studies...supported the notion that "drugs cause addiction." Early studies conducted by the Partnership for a Drug-Free America placed individual rats in an empty cage with a bowl of regular water and a bowl of cocaine- or heroin-infused water. The rats almost exclusively chose the cocaine- or heroin-water and most of them eventually died of drug overdose. This supported the notion that "drugs cause addiction," and once you are hooked, there is little hope for recovering. Rats were placed in an environment where they had...the company of several other rats...[They] consumed 75 percent less drug-infused water...and none of [them] overdosed. However, in the 1970s, Canadian Psychologist Bruce Alexander conducted the famous "Rat Park" study and found very different results. Rats were placed in an environment where they had plenty of cheese, toys, and the company of several other rats. Here, the opposite effect occurred. The rats consumed 75 percent less drug-infused water than the isolated rats and none of the rats overdosed. Years later, Alexander reran the experiments, taking rats who were isolated and using cocaine for 57 days and placing them in Rat Park with other rats. These rats showed a few signs of withdrawal, but soon stopped heavy use and went back to normal life, contrary to what one would expect under the disease model of addiction . In his TED talk "Everything We Think We Know about Addiction Is Wrong", Johann Hari asked the following question, "what if addiction isn't about your chemical hooks? What if addiction is about your cage?" Hari spent time studying Portugal's harm-reduction strategy. In 2001, Portugal decriminalized all illegal drugs and created rehabilitation programs designed to help recovering addicts reconnect with society by creating jobs and offering micro-loans to help them start small businesses. Since this program was introduced, injection drug use in Portugal has decreased by 50 percent . Still, more evidence exists which suggests addiction may stem from social isolation. During the Vietnam War, nearly half of American soldiers experimented with opium and heroin and roughly 20 percent of them were addicted. But, when they returned home to their communities, 95 percent of them stopped using. Only 2 percent had gone through treatment [3, 8]. Only 5 percent of the veterans relapsed in the first 10 months after returning home, and 12 percent relapsed within the first 3 years . This recovery rate contrasts Leshner's theory that heroin use causes rapid relapse when users are re-exposed to the drug and debunks the widespread belief that "once an addict, always an addict" . Despite extensive research and changes to treatment approaches, addiction rates have soared in the last several years, with heroin overdoses increasing nearly sixfold from 2,000 deaths in 2001 to more than 11,000 in 2014. 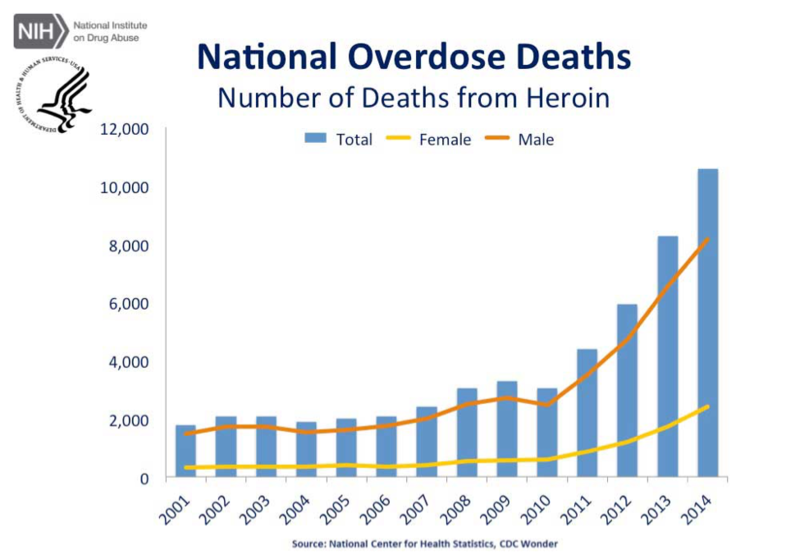 Similarly, statistics show a 3.4 fold increase in overdose of prescription opiates, a 42 percent increase in total deaths from cocaine overdose, and a fivefold increase in benzodiazepine overdose, with the number of deaths rapidly increasing from 1,500 in 2001 to nearly 8,000 in 2014 . Statistics have shown a correlation between drug use and time spent on social media. The National Center on Addiction and Substance Abuse at Columbia University conducted a back-to-school study which concluded that American teens who spend time on social media are two times more likely to use marijuana, three times more likely to use alcohol, and five times more likely to use tobacco than teens who do not . Similarly, Greek researchers at the Aristotle University of Thessaloniki surveyed over 1,200 students, ages 14 to 19, regarding their Internet and drug use. They found that as excessive Internet use increased, so did substance abuse . Physical Presence: The Key to Connection? Although we may be more readily available to connect with one another, most of this connecting is done behind a screen, making us less physically present for each other than ever before. While we may have hundreds or even thousands of Facebook friends and Twitter followers, the number of close friends the average American feels he can call during a crisis has been steadily dwindling since the 1950s . According to Professor Peter Cohen, addiction occurs due to a lack of bonding. Humans have an innate desire to connect and bond with something. While social media provides a certain type of connection, perhaps it is missing the element of physical connection. We know that oxytocin, a hormone released through physical bonding and connection, is important for stress resilience and well-being [10, 11]. 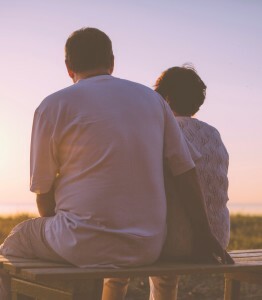 When people fail to connect with each other, their mental and physical health are negatively impacted, and they may attempt to connect with anything they can find- including drugs . Perhaps the greater problem isn't addiction itself, but rather the loneliness and isolation of our society, which make people vulnerable to addiction. Humans are social creatures. We need community in order to thrive. That said, it may prove more successful to shift the emphasis on individual recovery to social recovery. Rather than isolate, stigmatize, and incarcerate an addict, what he needs most are healthy interpersonal relationships, support, and unconditional love. Leshner, A. (October 3, 1997). Addiction is a Brain Disease and It Matters. Science. 278: 45-7. Heinrichs, M., Baumgartner, T., Kirschbaum, C., & Ehlert, U. (2003). Social support and oxytocin interact to suppress cortisol and subjective responses to psychosocial stress. Biological psychiatry, 54(12), 1389-1398. 13. National Institute on Drug Abuse (December, 2015). "Overdose Death Rates." Retrieved from: http://www.drugabuse.gov/related-topics/trends-statistics/overdose-death-rates. Moreno, M. A. & Whitehill, J. M. (2015). 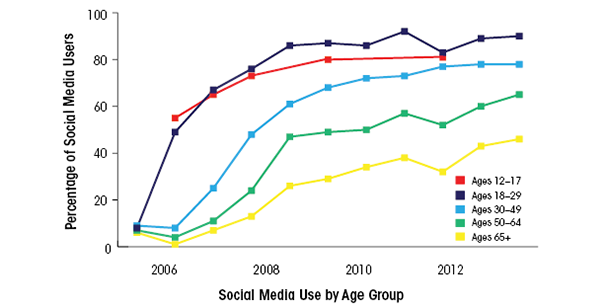 Influence of Social Media on Alcohol Use in Adolescents and Young Adults. Alcohol Research: Current Reviews,36(1), 91-100. Retrieved from The National Institute on Alcohol Abuse and Alcoholism: http://www.arcr.niaaa.nih.gov/arcr/arcr361/article08.htm.